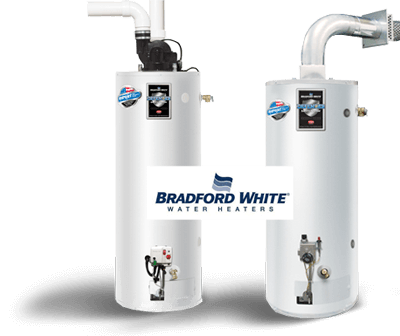 Bradford White offers a wide range of water heaters with various gallon capacities, water heating outputs, efficiencies, and exhaust venting systems. But what makes Bradford White the water heater brand of choice is their Hydrojet and Defender Safety systems. The Hydrojet system delivers more hot water for the same energy used and cleans the tank every time there is a call for water. The Defender Safety system provides greater protection during ignition. Adding technology to quality, Bradford White sets itself apart as the water heater of choice in today’s market.